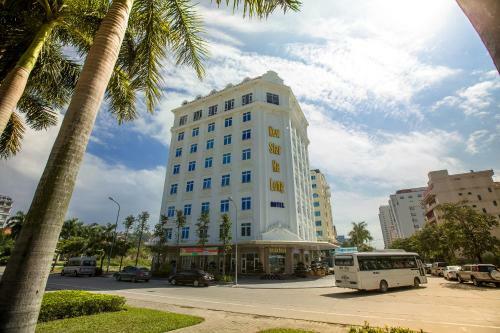 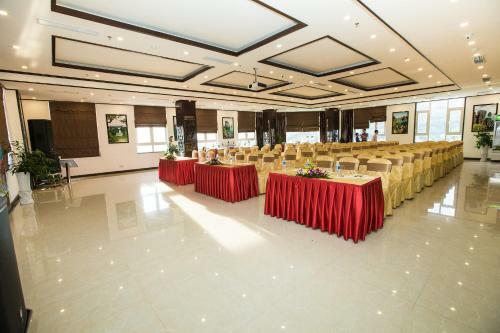 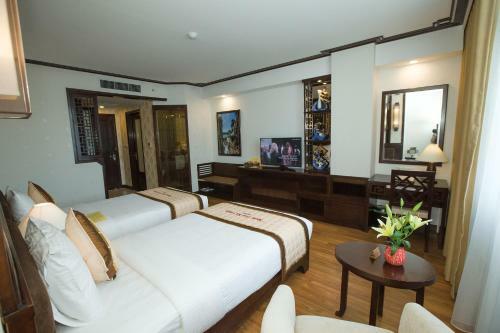 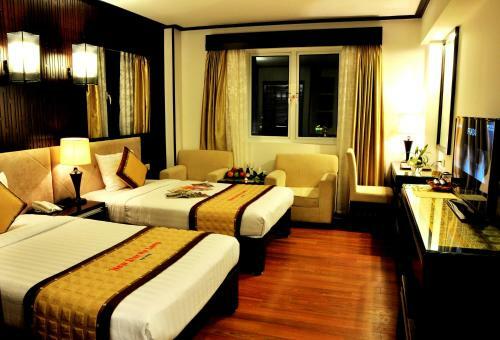 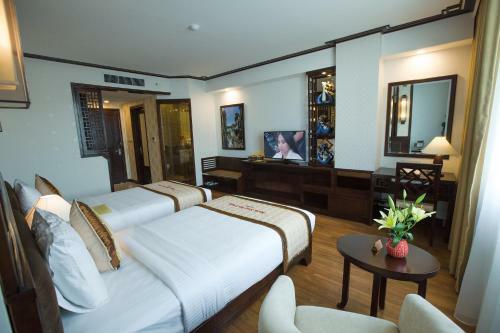 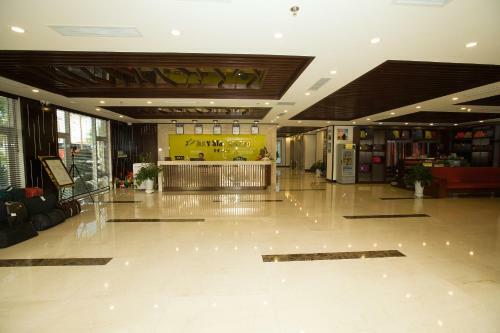 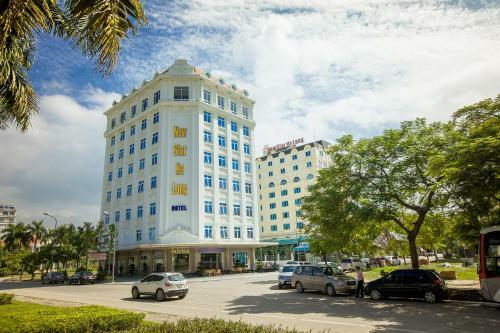 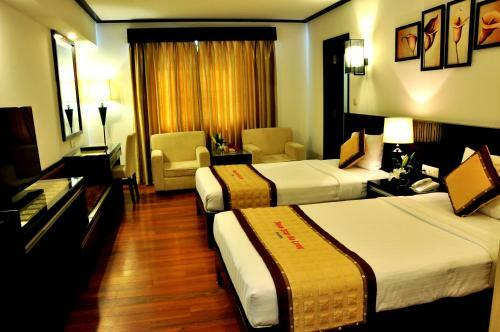 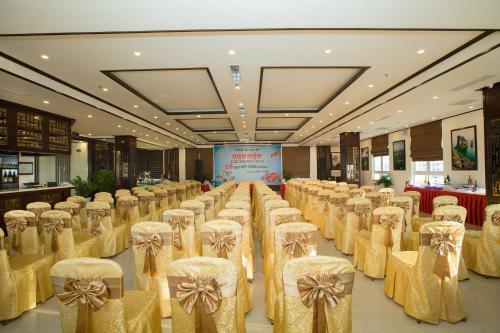 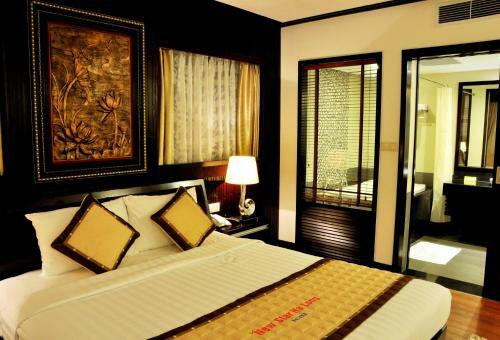 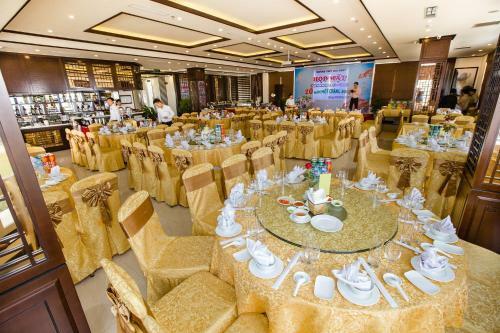 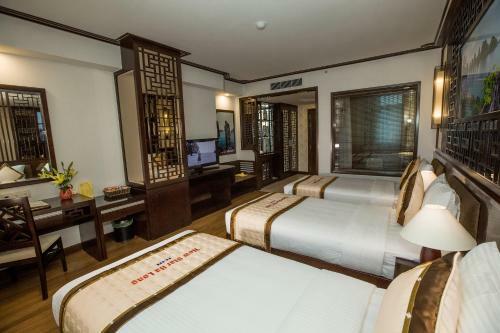 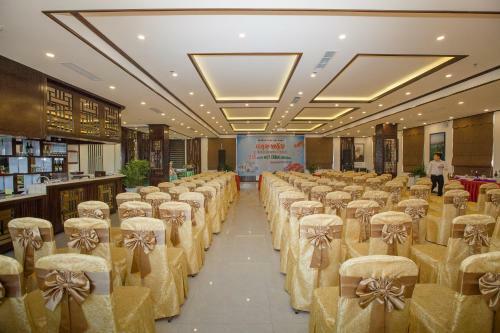 Nestled away in the peaceful district of Ha Long Town, New Star Ha Long Hotel features elegantly furnished rooms with free Wi-Fi access available at all areas. 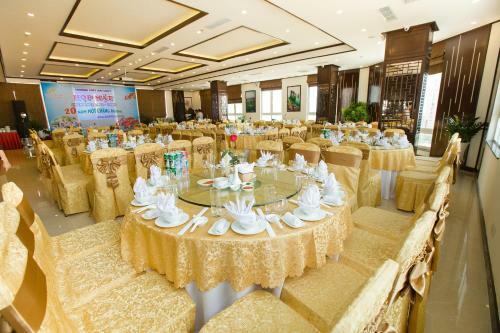 it also offers 24-hour reception and houses a restaurant. 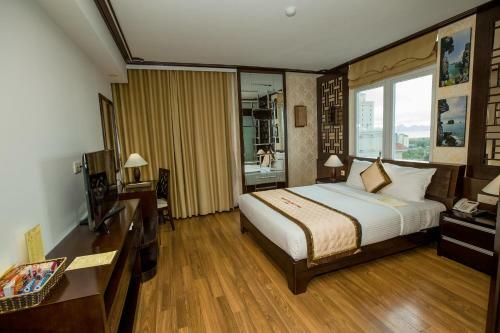 Located just 1.5 km from Bai Chay Beach and Bai Chay Bridge, this newly refurbished property is also 3 km to Ha Long Train Station and the popular Ha Long night market. 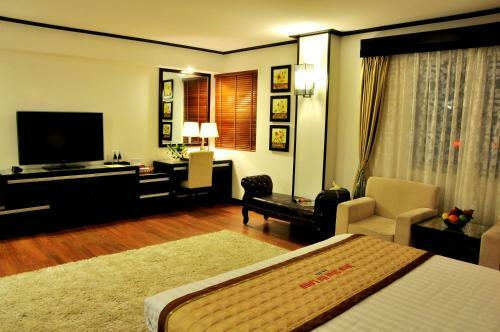 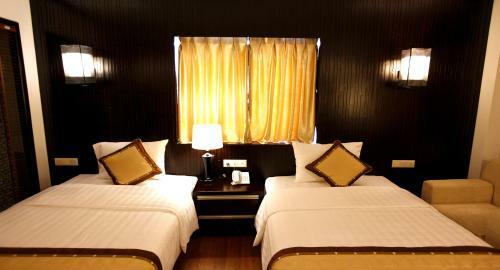 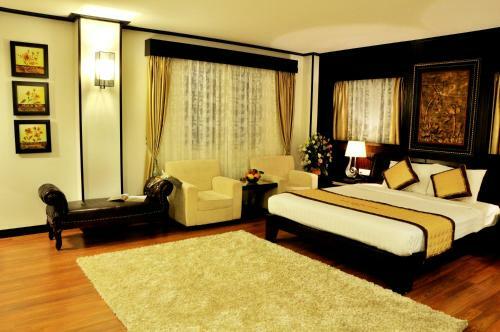 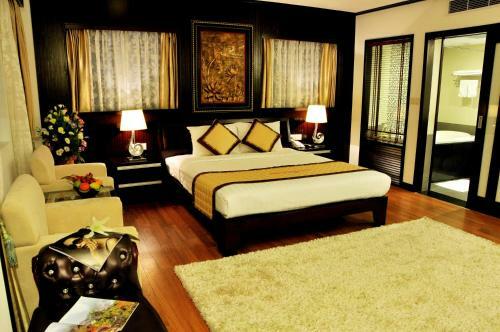 Furnished with wooden flooring, modern rooms are fitted with a seating area, a cable flat-screen TV and a minibar. 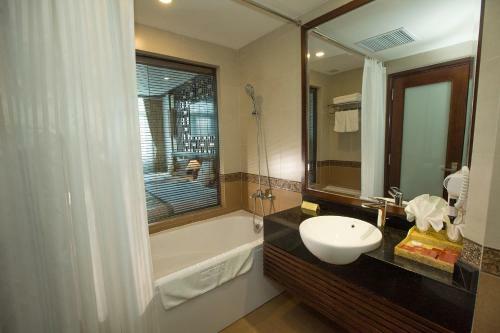 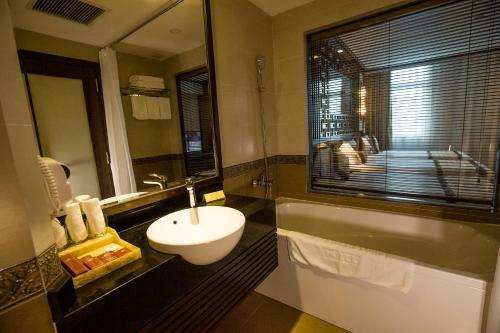 The en suite bathroom includes a bathtub or shower and free bath amenities. 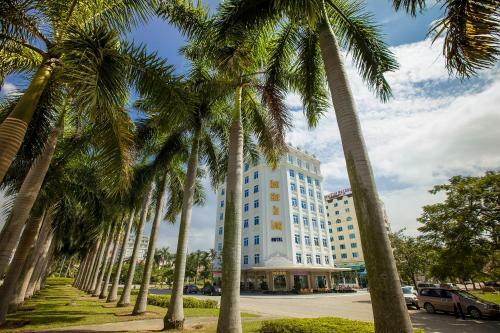 Getting around the area is easy with car and bicycle rentals. 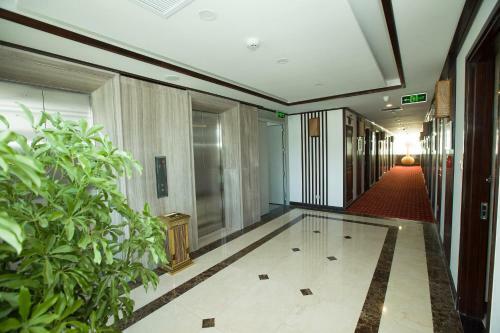 Other facilities include a tour desk and laundry/ironing services. For convenience, airport shuttle services are available at a surcharge. 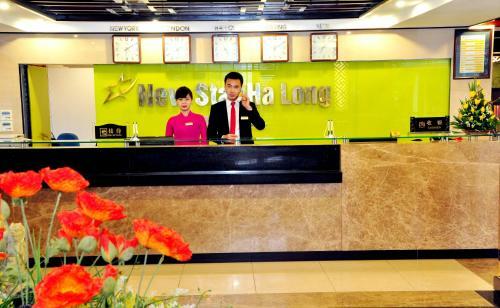 New Star Ha Long’s in-house restaurant will serve a selection of authentic Vietnamese dishes. 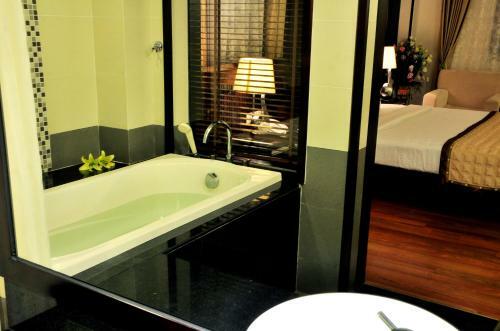 Room service options are available as well.